We are very fortunate in Newcastle to have so many great places to eat, with Hugh McCann’s being one of them. 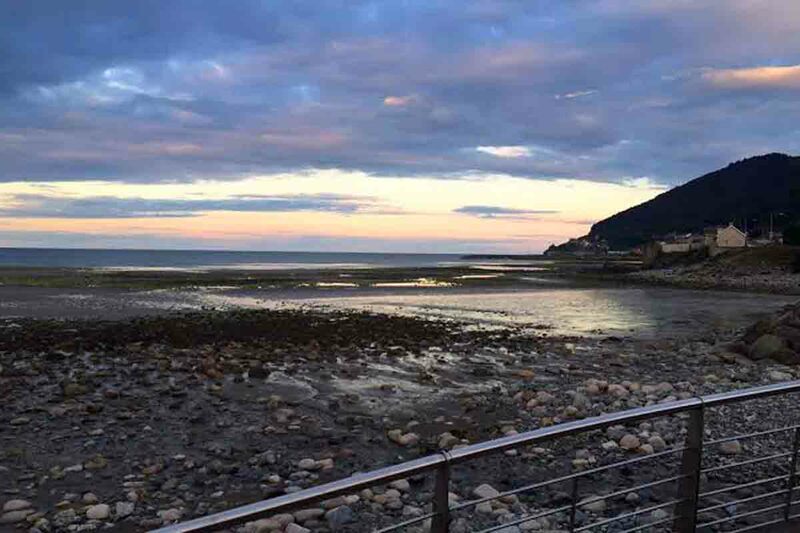 With uninterrupted views of the promenade and the beach, Hugh McCann’s is a prime spot to visit. 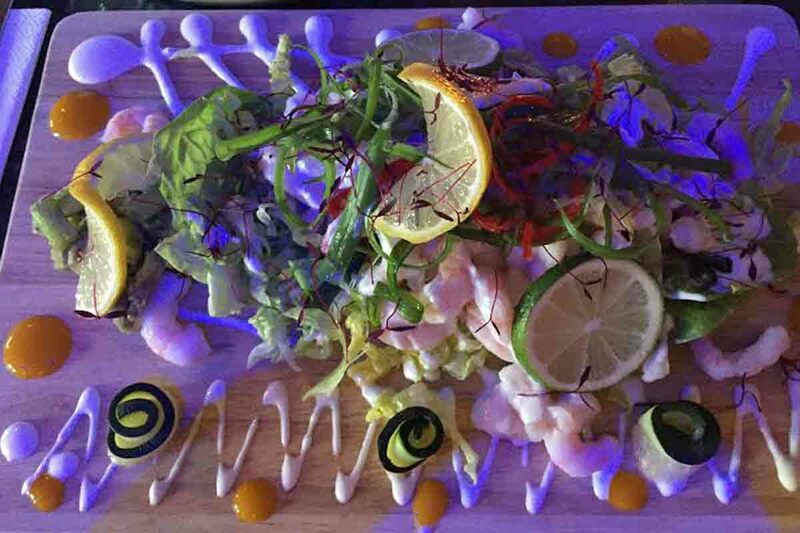 We called in on a recent Friday night for a bite to eat and we were so impressed with the flavour, presentation and service. The Friday night menu offers two courses and a glass of wine for £14.95 which is great value and the perfect way to start the weekend or relax after a hard week’s work. 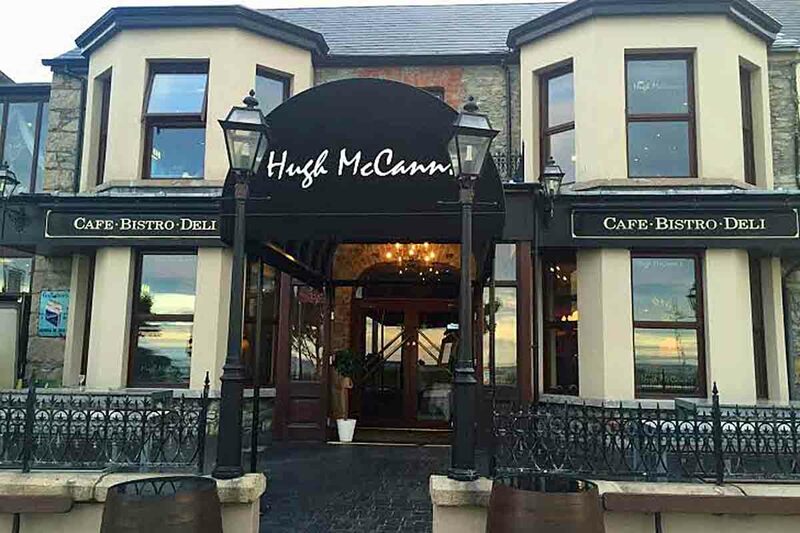 Here’s a rundown of the food we enjoyed at Hugh McCann’s. To start with I had the ‘Spiced Prawn Salad’ (£4.95) which included fresh Kilkeel prawns, lime mayo, Baby Cos lettuce, avocado Salsa, scallions, lemon oil and crusty bread. It was absolutely delicious. The portion itself was quite large but as it was packed with fresh flavours it felt quite light. I really enjoyed this one so I would be keen to have it again. Nial chose the ‘Chicken Wings’ (£4.95) to start with. Now if you know Nial you will know how much the boy enjoys his wings and it’s fair to say these wings did not disappoint. 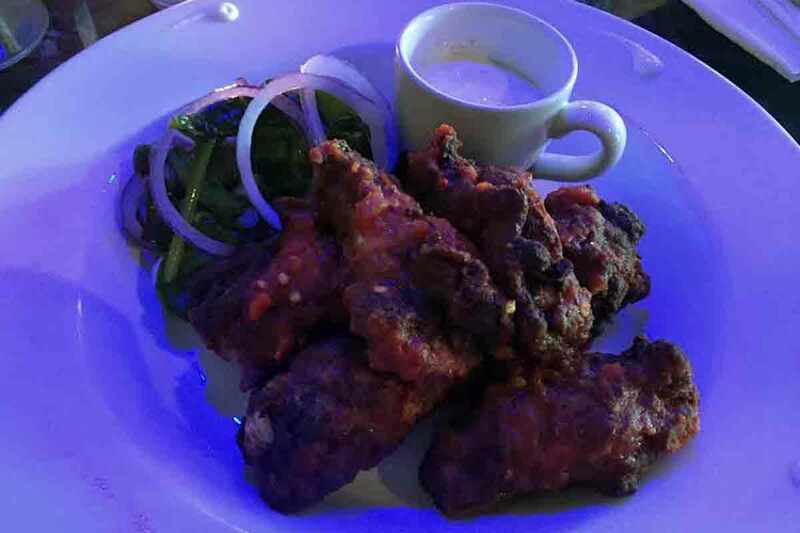 The wings had a sticky, Mexican spiced coating and were served with a dressed Salad and a smoked chipotle mayo and garlic dip. They certainly pack a spicy punch so they aren’t for the timid. Thoroughly enjoyed. For the mains I couldn’t resist having the O’ Hares Haddock in Beer Batter (£9.95). Where to start, this was possibly the nicest Fish and chips I have ever had in a restaurant. 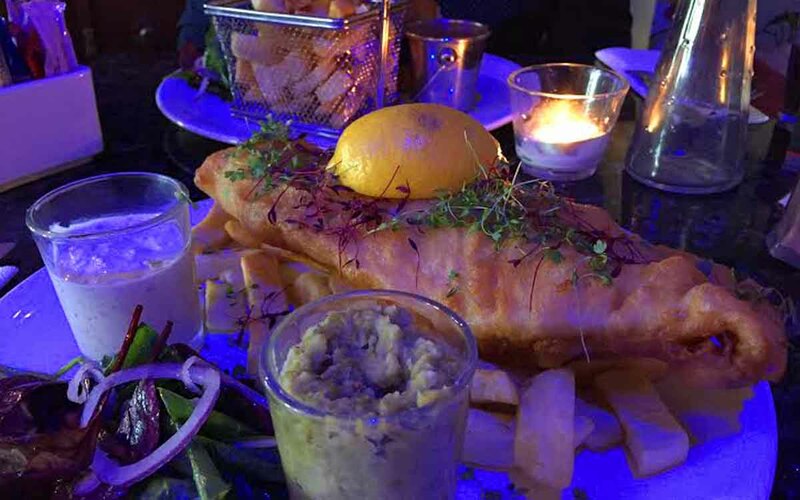 The plate consisted of a show stopping sized fresh local haddock, deep fried in a light crispy beer batter served on top of a bed of chips with mushy peas, homemade tartar sauce, a wedge of lemon and salad on the side. I loved it! The batter was light and crispy and didn’t feel stodgy or greasy, the mushy peas had some bite to them and the tartar sauce brought zing. Another big portion and not for the faint hearted – you certainly get your moneys worth with this bad boy. Nial had the McCann’s Burger (£9.95) for his main and thoroughly enjoyed it. A freshly made burger, chargrilled and served with bacon and cheese with homemade relish and chips. 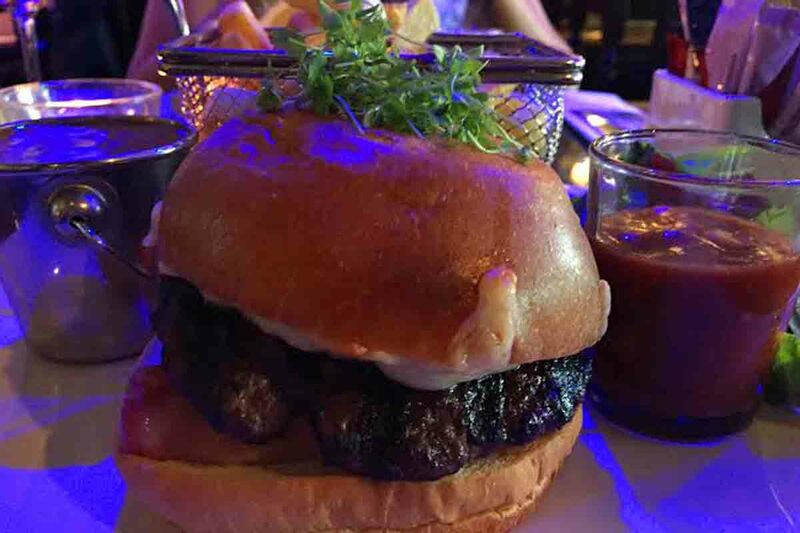 Sometimes it’s hard to beat a tasty burger and chip when you’re in a bar / restaurant and this one certainly hit the spot. Nial decided to order a small serving of pepper sauce which just added that extra bit of heat and flavour to the burger and chip. Good, honest pub grub at its finest. After an incredible starter and main we were struggling to find room for a dessert each. In the end we opted to share a slice of Chocolate Fudge Cake (£4.95). 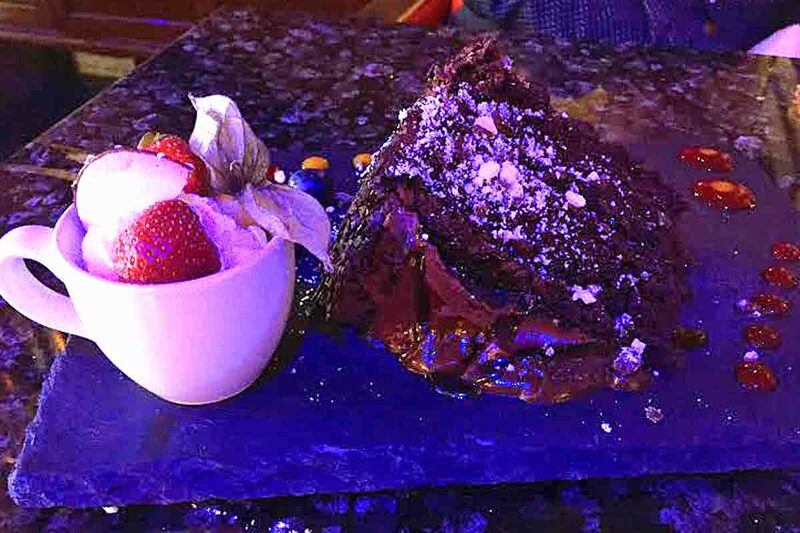 We had it with fresh cream and ice-cream and it was everything a chocolate fudge cake should be- rich, gooey and oh-so-chocolatey!! The perfect end to a great evening. Have you eaten in High McCann’s before? What did you think of it? Share your experience with us by commenting below or connecting with us on Facebook or Twitter.